52 years is a long time. One witnesses plenty things. Many moments. For few even a lifetime. And then one fine day a group of people walk in your home. With pistols, knives and flying fists. And kill you. Leave your son critically injured. Yes, on 28th September this is what happened to Mohammad Akhlaq Saifi and his family in Dadri, Uttar Pradesh. A family who had spent over seventy years living in the same neighbourhood. For some he could be a victim of mob lynching, ‘an unfortunate accident’ as few have termed it to be. For me he was an outcome of silence. That night the people of Dadri did not kill him, we the quiet spectators of this communal show did. I am guilty as charged as well. And this is the same country which united along these very religious beliefs decided to fight the oppressive British regime in 1857. And created history in the form of ‘First war of independence’. Why do I say we killed him? Because we refuse to speak. Out of courtesy or maybe unnecessary arguments that ensue or perhaps because we are not communal and how can we stop someone else from being so? Office. Classrooms. Family. Friends. Do not hesitate to speak your mind out. Raise your voices against any form of communal sentiment. Yes you may question yourself how does that even effect anything. But it is this idea that is promoting these incidents. Remember how domestic violence flourished? We are safe. Our women are safe. Let the others be. This is that. It is now or never. Raise your voices and create awareness. Remember we are not secular because our Constitution deems it to be. We are secular, because that is who we are. 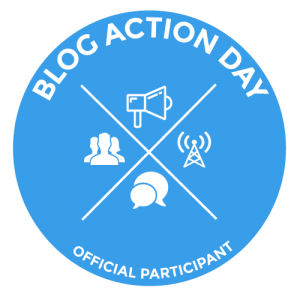 This 16th October is Blog Action Day and this post and the rest of today is dedicated from my side against the seeds of communal sentiment in our country. Are you with me? If yes. Then share the message. Spread your word. Speak your mind out. 1) Cow is considered to be sacred under the Hindu religion and is worshiped. Eating beef is forbidden for Hindus. Slaughtering of cows is a punishable offence in many states (including Uttar Pradesh, where this happened) of India. 2) On 28 September 2015 evening, two boys used the local temple’s public announcement system to spread the rumour that the family of Mohammad Akhlaq had killed a cow and consumed its meat on Eid-ul-Adha.Later, the police called this rumour to be cause of the lynching. Keep aside politics or religion, I always felt that in all these we fail as human drastically. Maybe some other things could also be there behind the happening…!Anyway that is not a right sign for the future of country.